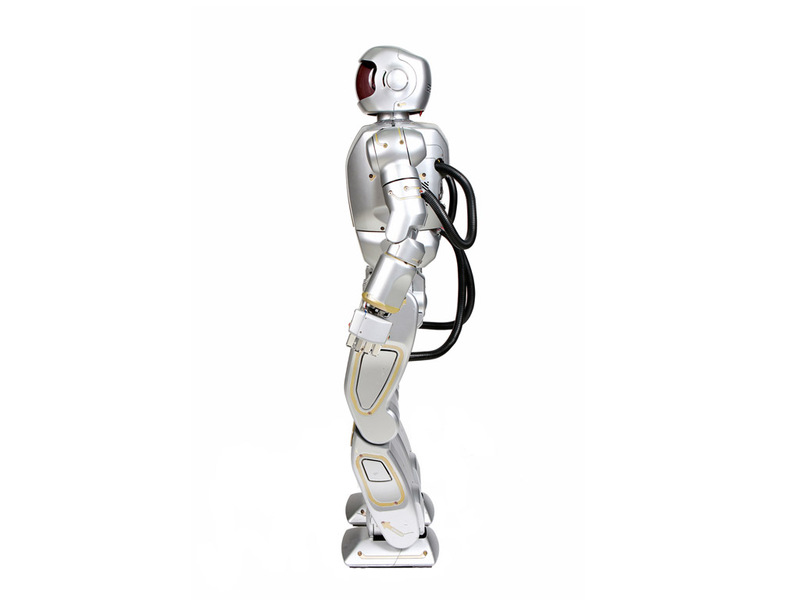 Hubo 2 is a full-size humanoid that can walk, run, dance, and grasp objects. 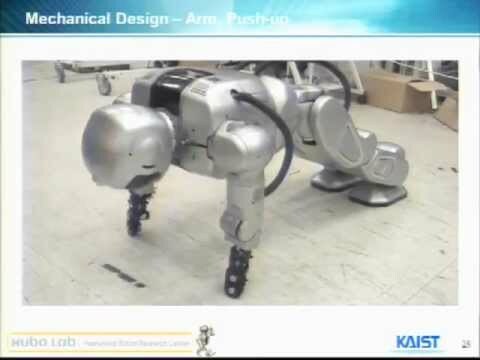 It uses a straight-leg walking gait that's an improvement over most bipedal robots, which keep their knees bent to balance. 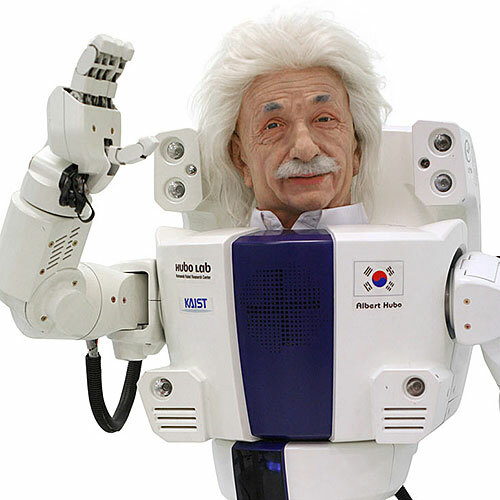 Hubo is Korea's most advanced humanoid. 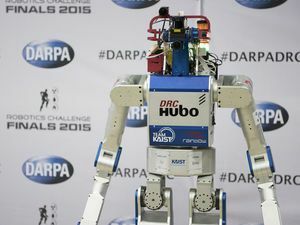 The robot has a compact, lightweight design. 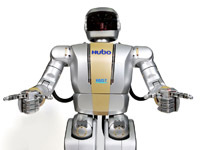 Hubo has more than 40 motors in its body. 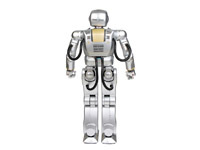 The robot has an aluminum internal frame and plastic covers. 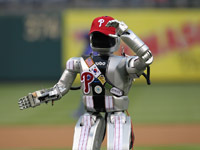 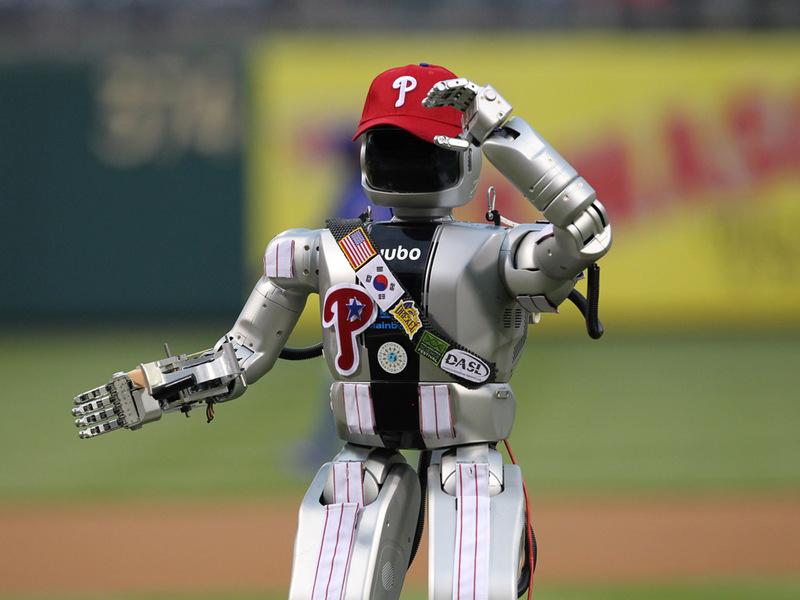 Hubo appears at a Philadelphia Phillies game in 2012. 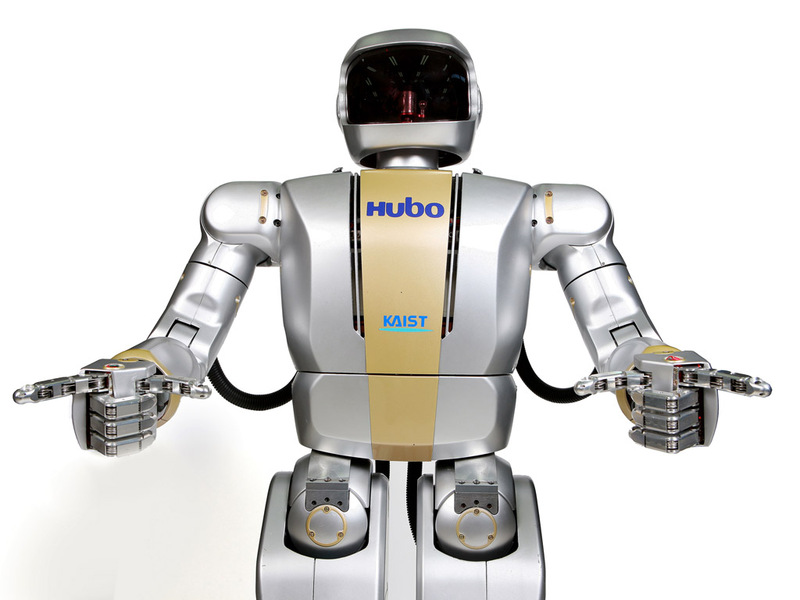 Hubo creator introduces his new "son." 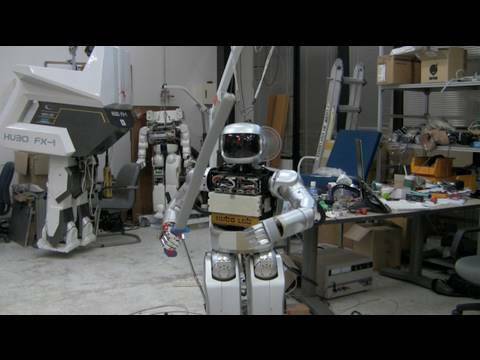 Hubo shows off its running skills. 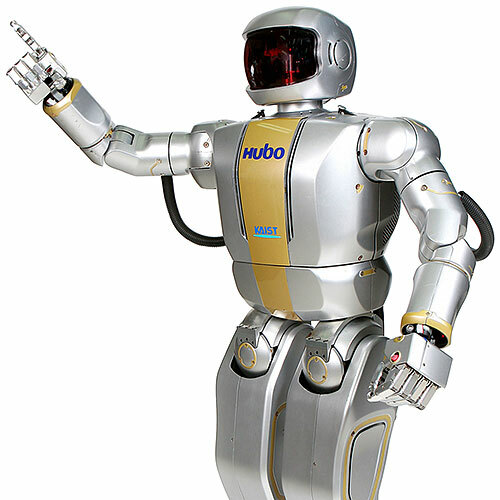 Professor Jun Ho Oh demos Hubo and Albert Hubo. 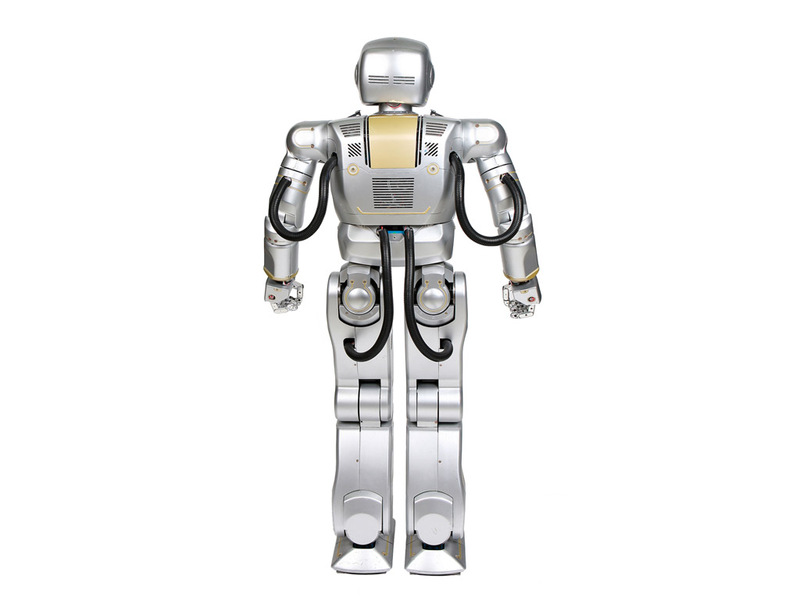 How Hubo's dynamic control works. 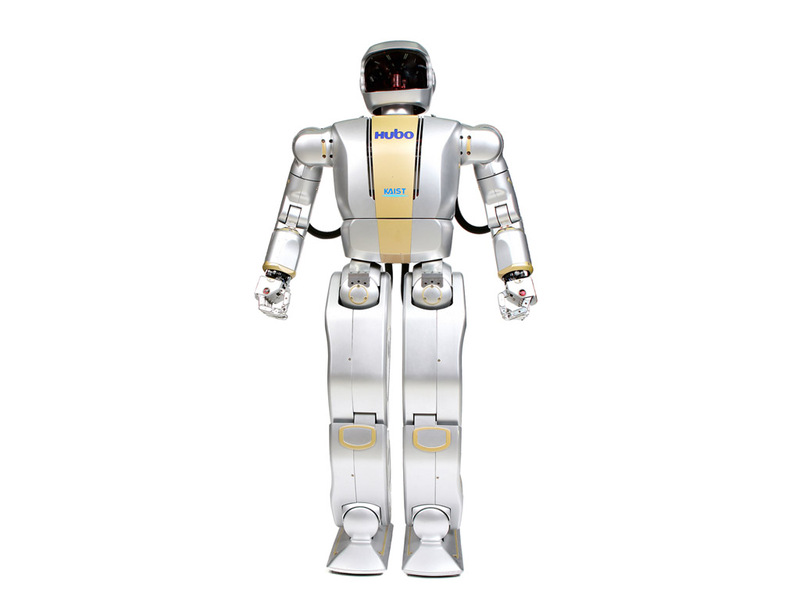 Hubo 2 has 40 motors and can walk around for two hours straight without a break. 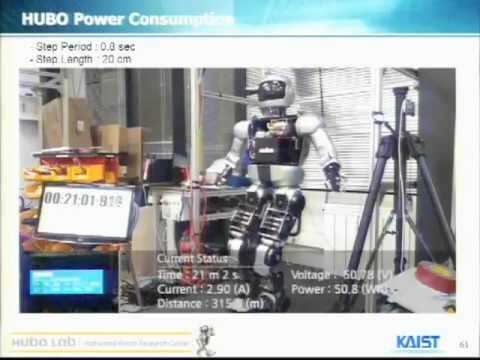 Hubo 2 can run (even getting its feet airborne) at 3.6 km/h. 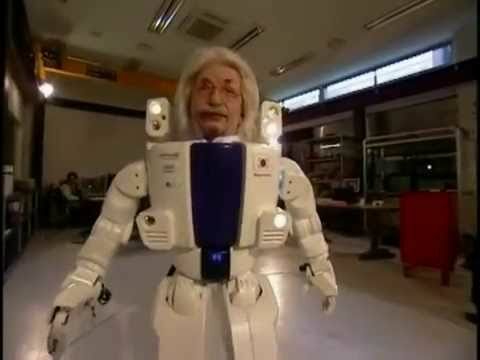 Modular, lightweight design. 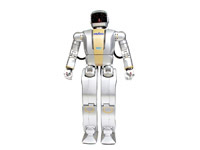 High performance actuation system optimized for dynamic tasks. 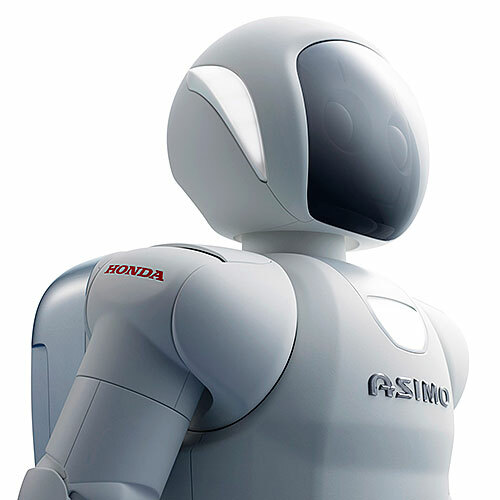 Camera, three-axis force-torque sensor, two-axis inertial sensor, two-axis tilt sensor. 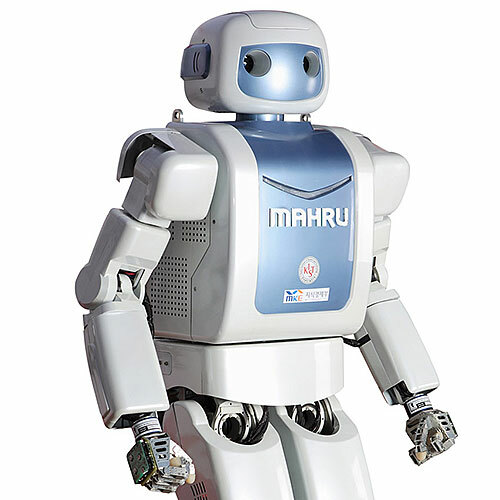 44 brushless DC motors (19 200-W 48-V motors, six 100-W 48-V motors, nine 11-W 48-V motors, and 10 0.75-W 12-V motors). 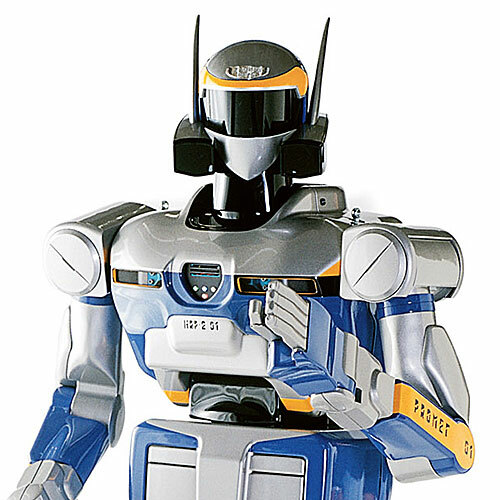 Windows XP OS with RTX (Real-Time Extension) for Windows. 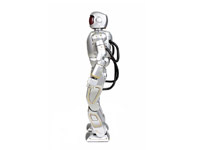 Hard plastic exterior, aluminum skeleton.